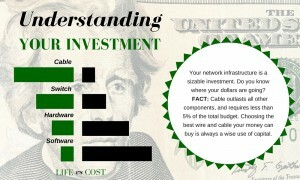 Because we’re involved in the daily supply of network cables and infrastructure we get to see shifting installation techniques and strategies many of you are using to get a network up and running as quickly and inexpensively as possible. Tools that speed up installation have never been more popular with contractors. On a job, every minute counts. In a perfect world, the fastest terminations would also be the least expensive AND the highest performing. Fusion splicing of fiber optic cables may now be that prefect world. But the rule still applies: you get what you pay for. That’s why this article will explore the basic differences in the machines available today to splice fibers. Remember, the objective when connecting any fiber together is to align the paths (cores) so that the maximum amount of light travels through them. The better the alignment, the better the cable performs its job. Fiber Cladding –The layer(s) of material with low refractive properties that help keep the light traveling in the core. Cladding is usually 125um diameter. Fiber Coating –Polymer or polymide coating is applied to the cladding to protect the fiber strand from damage. Coating diameter is commonly 250um, and can be colored for identification. Buffer material – This coating is used for tight buffered cables – typically indoors. It is applied to a diameter of 900um, and is colored; providingmechanical protection of the strand inside termination equipment. It also aids in terminations by “beefing” up the size so it can be properly handled. Concentricity – Yes, big word but really important. Being concentric in fiber means the various coatings all share the same exact center, and having the skill to produce concentric fiber strand pays off downstream in a big way. Alignment – Ultimately, if we can align the core of two strands, light travels without disruption. Now that we have defined the elements and the objective, we can discuss fusion options. We’re focusing on fusion options only; however, please keep in mind that adhesive/polish and mechanical splicing are still valid alternatives. An Active Core Alignment machine will actively (read: automatically) adjust the positioning motors so that the cores are perfectly aligned in the X, Y, & Z planes. Once aligned, a preheat/cleaning takes place followed by a series of arcs that fuse the two fibers together. This produces the highest performance connection in our industry. Once fused, the glass is nearly as strong at the fusion point as anywhere else on the strand… except if you bend it at the fuse site. That’s why we use fusion sleeves to keep that weld straight. Active Clad Alignment machines will actively (read: automatically) adjust the positioning motors as well. The difference is that they align the cladding, not the core of each strand. These motors position the strand in perfect alignment of the cladding’s X, Y & Z planes just like the core alignment machine. 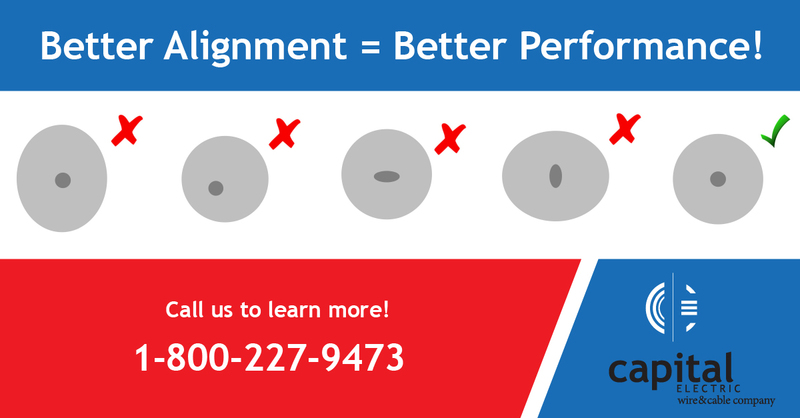 Because this alignment is based on the outside of the strand, measurements are more easily obtained without the same expensive cameras and mirrors necessary for core alignment. Since this is simpler to accomplish manufacturers can offer these machines at lower prices, which is a good option if you are using new, high quality fiber cables. If you want a machine that will fuse any type of glass, even the old stuff, go with a core alignment machine. You won’t be sorry you spent the extra money. They can literally fuse any glass out there. Many core alignment machines offer several additional features to improve efficiencies on top of better core alignment: speed of the fusion, speed of the ovens that shrink the fusion sleeve in place, easy to use controls and even instructional onboarding videos. However, if your world of terminations is exclusively new glass then a clad machine will do well for you. The fiber optic manufacturers today produce glass that is extremely concentric. That means there’s little to no penalty in quality to align the cladding. If you spend most of your time inside the building, a machine like this can change your whole strategy on fiber. One project could put you in the fiber fusion business! No matter what machine you select, there are options that make it painless and fast. Use the form below to let us know how we can assist you. What’s new? Hubbell’s Field-Terminated Shielded Modular Plug. 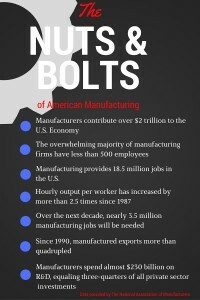 With domestic manufacturing on the rise, “Made in America” is poised to take on a whole new meaning. The parameters for today’s definition will be written by using quality, cost effectiveness, and culture as important barometers. The best advice for anyone looking to cross off items on the company infrastructure shopping list is this: Buy the best you can afford, and you’ll never be disappointed. That means doing your homework to avoid a costly mistake. “Jane, stop this crazy thing!” The year was 1962, and America was introduced to the family of the future: The Jetsons. 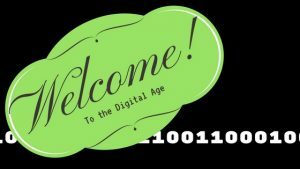 The automation, the technology… it all seemed so far off and far out back then, but in less than 60 years, we’ve surpassed many of the “far-fetched” developments portrayed in that show. Good companies offer important things such as consistency, quality, and value. What elevates an organization to the next level is how those characteristics are experienced at every turn, especially through the purchasing process. There’s a recurring discussion among business leaders and supply chain managers regarding the viability of single-source purchasing. The pros and cons have been debated, diagrams have been created to illustrate various scenarios… but in the end, it really comes down to the vendor, doesn’t it? Think for a moment about AV connectivity… do you want to run? Scream? Hide? If you’ve been around a while, you’ve seen a frightening list of AV connector options: VGA, Component Video, RGB, S-Video, RCA, 3.5mm Audio, DVI (I, D or A), BNC, F-connectors…. Talk about a nightmare! How did we ever get anything to work? Thanks for attending our February 20 Lunch and Learn! In previous Cablepedia articles, I talked about the revolution that is happening thanks to PoE, or Power over Ethernet. Consumers’ constant demands for speed and reliability in networks and connection pressured our industry to respond, and we did – with advances in cable that flow electricity and data along the same pathways.